A local artist commissioned 286Blue to produce the brand identity, logo, and website for their new range of wall art. 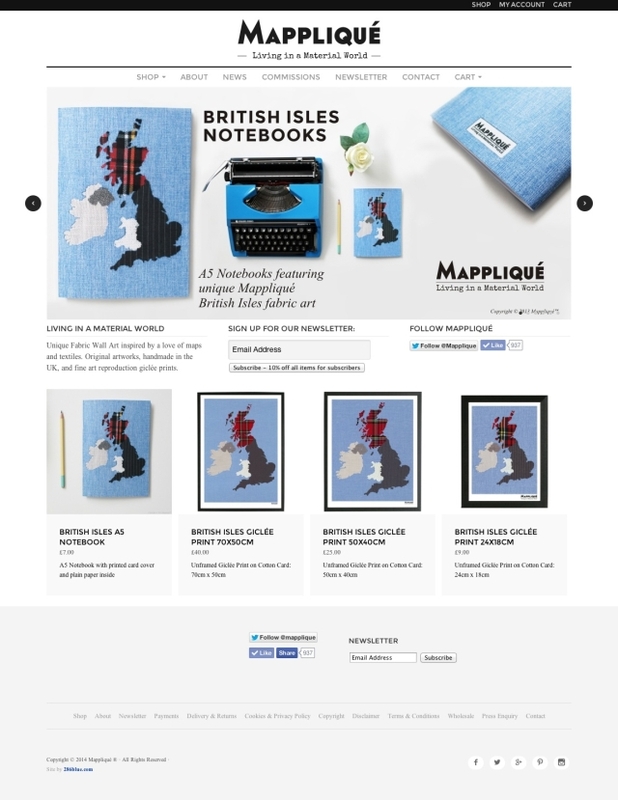 Mappliqué handcrafts maps from fabrics which are available as original fabric artworks as well as reproduction giclée prints. 286Blue created a logo with art-deco and “Ordnance Survey” influences to reflect the map background of the project and used a vintage-style functional typewriter font that referenced maps of the 1930s and the hand-made nature of the maps. 286Blue created a clean and stylish online store in classic black & white, with soft greys, which allows the colourful artwork to stand out as the star of the website.